Nigel Gower is currently the Chief Technology Officer and on the board of advisors for medical marijuana startup MDherb. He has more than 25+ years of app development, website development, and technology implementation working in a CEO and consulting role with multiple Fortune 500 companies. 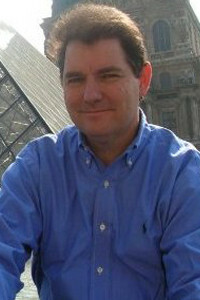 Mr. Gower is responsible for the app development, website and technology efforts of the company. More about Mr. Gowers company; OnDemand Mobile & Web Solutions, Inc. is a U.S. Tech company headquartered in Atlanta, Georgia, providing web and application development solutions targeted to small and mid-size companies. Since 2003, OnDemand, Inc has delivered Mobile solutions, Web Development, Design, Branding and Marketing services of every complexity to clients worldwide. Starting with a clear understanding of our client’s business requirements, they combine expert development and proven methodologies to provide successful cost competitive web solutions.